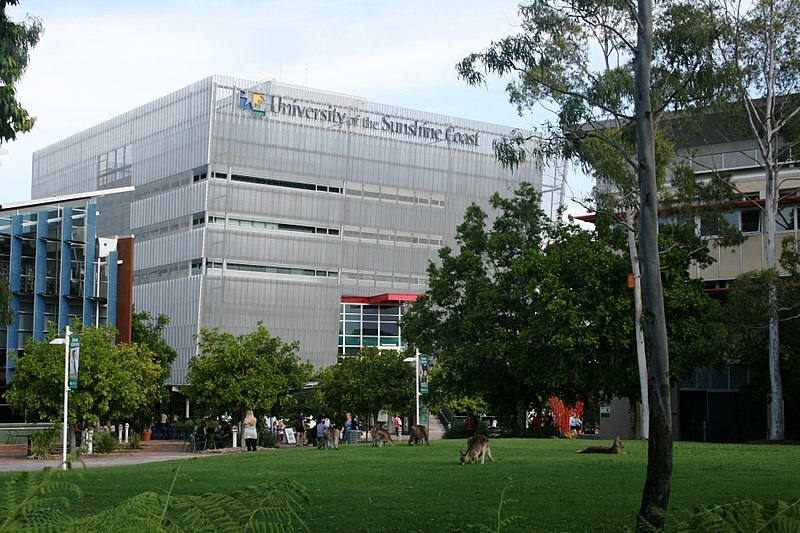 The University of the Sunshine Coast (USC) has campuses in Sippy Downs (a suburb in the Sunshine Coast), as well as Hervey Bay, Gympie, Caboolture and South Bank in Brisbane. We have a range of University of the Sunshine Coast reviews from several campuses, in both undergraduate and postgraduate degrees. They also cover a range of topics including Arts, Law, Health, Business, Science, Education and Engineering. I'm doing a Journalism major. Positives: My tutors go out of their way to ensure they are not only teaching us content, but that we fully know and understand it. They spend time out of hours discussing things that need working on and provide us ways to improve. My tutors are always more than willing to reply to my questions via email and will also run an online blackboard session for extra tutoring if needed. The course also provides many opportunities to gain work experience, and we can make workplace relationships with guest speakers and networking events. My advice to future students: Choose to study at USC over other universities because you will have a better learning environment and university culture. Positives: Three positive aspects of my course were, some lecturers put in the time and effort to be engaging which helped you get where you need to be. They offered extra learning sessions twice a week to help out, and when available would always post extra information. The final one is the course itself gets you ready for placement and going out to find a job. Many students were able to find casual work in the field due to placements. Negatives: The negatives are, if you don't enjoy a particular topic, it can be hard to grasp the concept of it. I know I had this issue, a long with many other students. Second was some lecturers would do the bare minimum, which could be looked at negatively or positively. It can prepare you a little more, but it can also become extremely stressful. This is when the extra sessions came in handy. My advice to future students: Time management skills for this course are key. You need to stay on top of the work. Study a small amount daily rather than all the night before the exam. Take advantage of extra sessions. They will help. Positives: It will help me upgrade my future in IT Sector. Positives: The bachelor of social science (counselling) was very informative. At the beginning of the degree I was new to uni and the lectures and teaching staff were very helpful with all the students. They gave a one on one support if you ever needed it. The information the course was helpful in every step of the way learning about the community and counselling. I found every unit very informative and interesting which engaged students. They provided detailed feedback on all your drafts when needed and were available to help with any questions. Negatives: I don’t have any negative aspects of the course. My advice to future students is: To learn as much as you can while you are a student and enjoy your time at university. Learn from your lectures and tutors their information is valuable resource when you start in the field. After you are in the workforce you are on your own and putting all your knowledge to practice. Make the connections while at university it helps later on with finding work and learning from others experience helps with your knowledge of the industry. But most of all enjoy it! Positives: Positives: the university has a few great tutors and lecturers who are currently still teaching. They provide accurate and up to date information while teaching us how to use our skills not only the theory behind it. The University its self is lovely, open and welcoming. Negatives: Negatives: unfortunately there are too many lecturers that have been out of the field too long and have forgotten to practice what they preach. They tell us the theory of education but not how that looks in a classroom. Our faculty is one of the least funded despite having one of the highest intakes and sadly there is some favouritism and bigotry from certain staff. My advice to future students is: Be sure this is the right path for you and don't be afraid to change courses. Life isn't a one way street, if it doesn't feel right make a left, try something new, take a break and find something you love. Positives: It's very interesting, you learn so many different aspects of criminology and justice that you didn't know about before. It helps to expand your view on many different aspects involving criminology and justice. It is not necessarily a majorly difficult course, because if you are actually interested in criminology then you will be interested to read and study the tasks they assign you, which are mostly never boring. Negatives: Personally I cannot think of many negative aspects to the course. I feel it covers everything necessary to the course. Over time the university of the sunshine coast has constantly changed and improved the newly introduced bachelor of criminology and it has been great. Perhaps more opportunities for placement would be an aspect that could be improved on, however this may have already been done in the years after I completed my studies. My advice to future students is: If you're not genuinely interested in your course then don't bother. However, assuming you are interested in your course my general advice would be to always attend your tutorials, they help more than you may think. Don't stress about getting every single piece of work done that is handed to you, if you are trying your hardest and doing the most amount of work you can then you will be fine.